I guess the best way to explore a place fully is either you start early, ditching the crowd or by foot. No doubt that kind of experience you counter this way are far better and different from the otherwise leisure travel. I did a mix of both in the golden city of Jaisalmer and I must admit that I got hold of fabulous stories still closer to my heart. 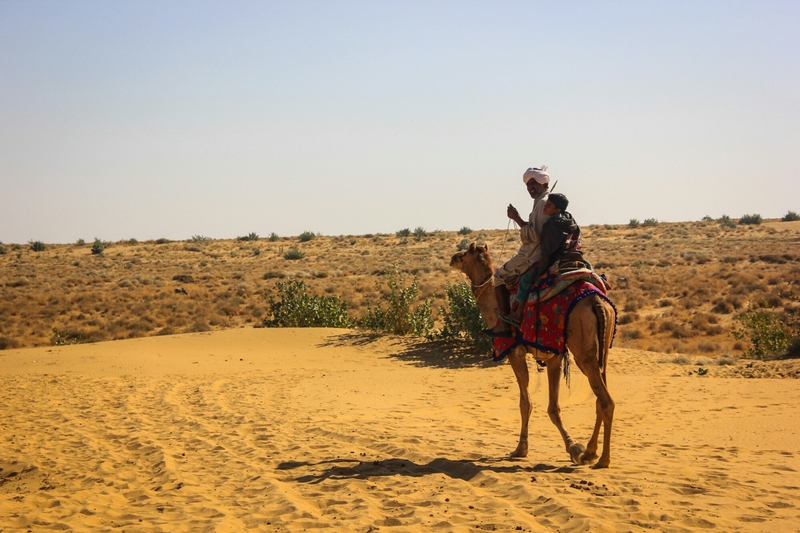 I had a chance of visiting Jaisalmer during the New Year’s time in 2013 and since I already knew that the city would be abuzz with tourists, I decided to let go of my morning sleep and get on foot to explore the city, reaching the farthest I could. Honestly, this was the best decision which I took, for it didn’t only allow me ample time to roam freely and clicking without hindrance but I got a chance to catch few locals, sit with them and know about their culture and traditions. They made me roam around the giant golden fort sharing stories of the by-gone era, made me see even the tiniest corner of Jaisalmer and I got the best souvenir to keep. I was able to catch the morning aarti at the Jain temple and saw the adorning ceremony (called Abhishek), which the public is not allowed to see. 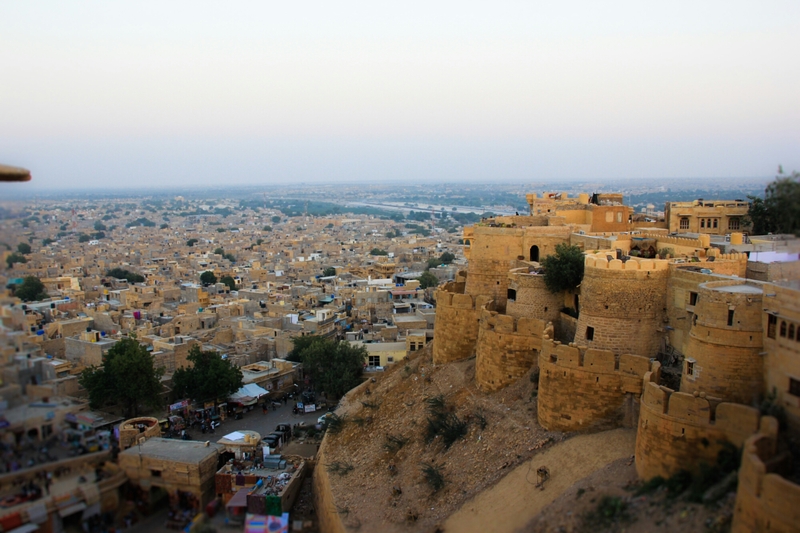 Jaisalmer is famous for its unique architectural heritage and one of thing which makes this city exceptional is that one fourth of its population still resides inside the fort. 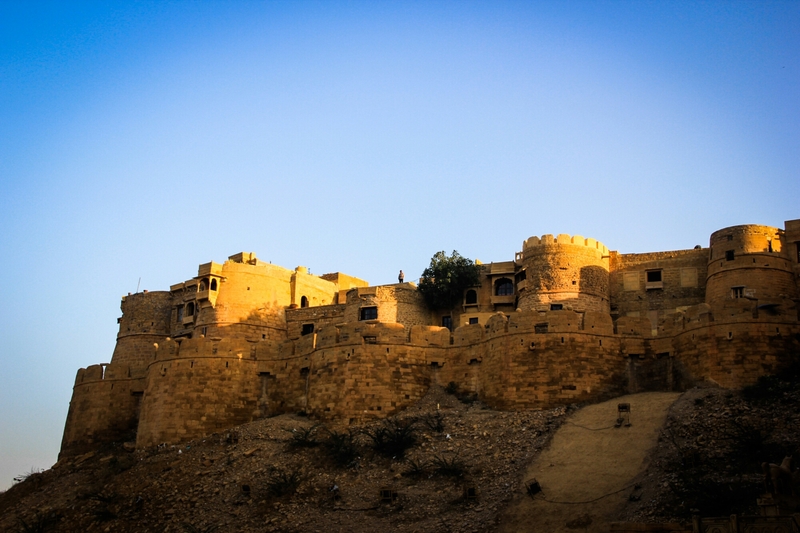 The Golden Fort is probably the only fort in India which still has people residing into it. And since I was visited the fort during the early hours, I had a feast hearing their ancestor’s stories from some of them, while getting to know legacy which they still preserve. 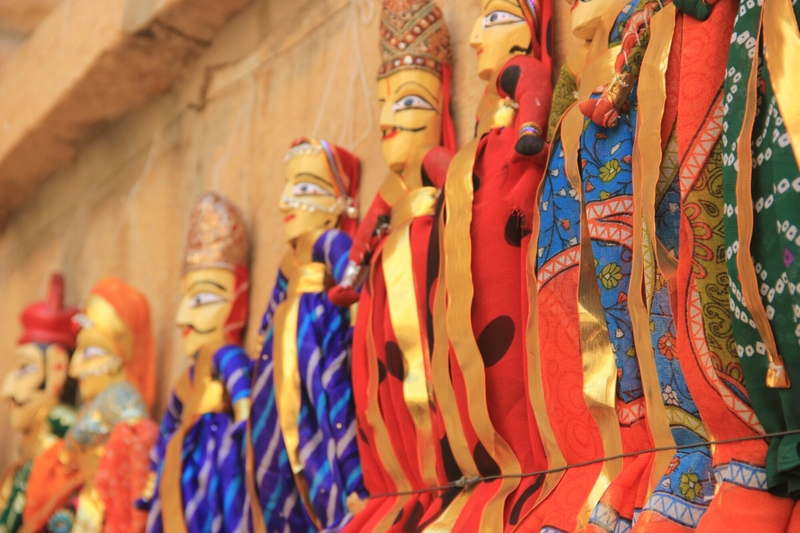 The Palace Museum and Heritage centre was once the residence of the Maharajas of Jaisalmer, which now preserves the huge collection of artefacts, showcasing the fine work of artisans during the older times. The interesting section of the Palace is Raja-ka-Mahal and Rani-ka-Mahal which contains fascinating part of Gangaur processions. Spot the antique sculptures, paintings, stamps which denote the lives of Maharajas. 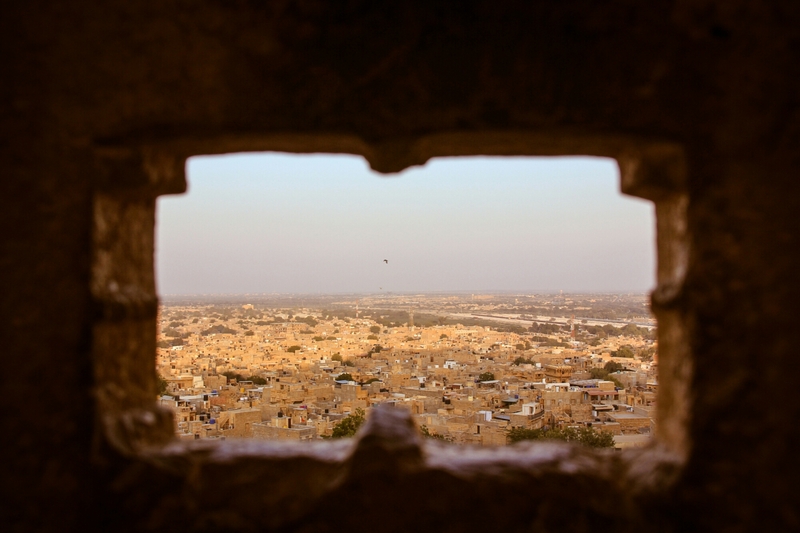 The roof top gives a 360 view of city of Jaisalmer and sunset in Thar Desert is best viewed from here. 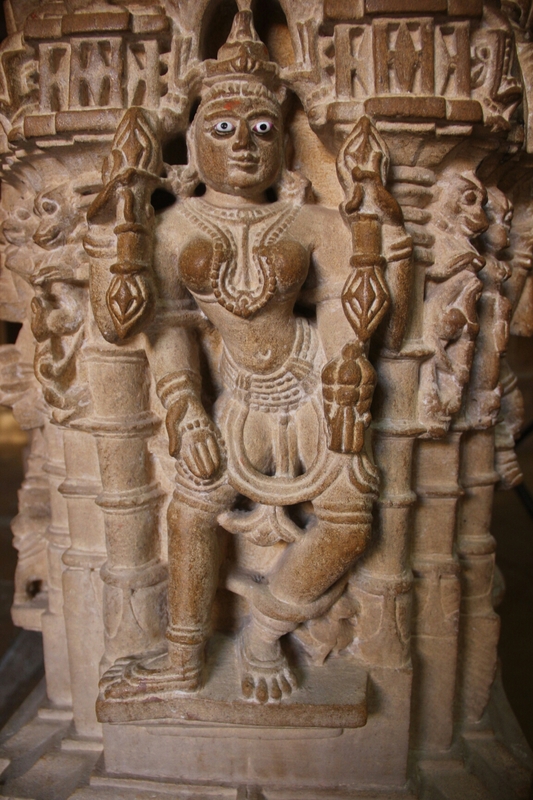 Jain Temples: Being a Jain myself, I must admit that Jain Temples at Golden fort is surely one of its kinds. I was seriously left impressed and spellbound with its architectural wonder. One of the best pieces of art I saw in recent times. 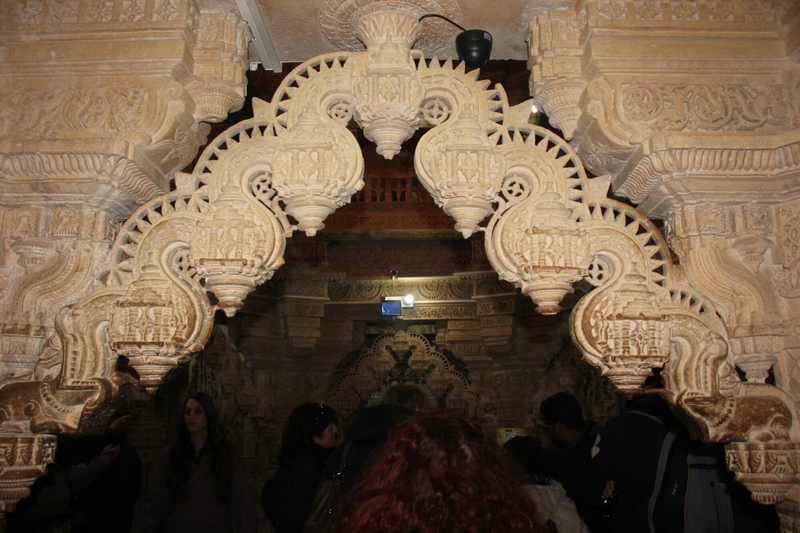 The exquisite and detailed carvings on each wall simply left me mesmerised. 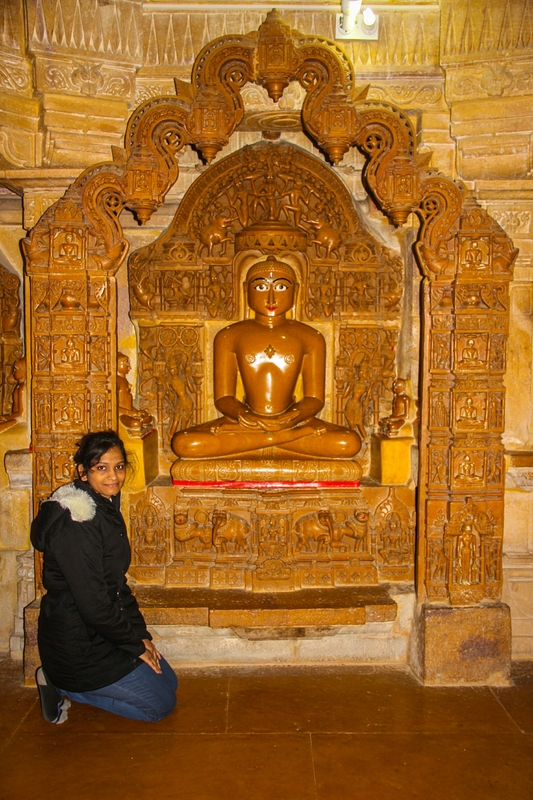 The temples are majorly dedicated to the idols Rishabdevji (First Tirthankara in Jainism) and Sambhavnathji. It is said that that these temples were constructed in the 12th century but due to revolutions the temple was left in ruins and was rebuilt in 1615. Consider visiting these temples in the morning when the priests shower the idols with milk (called Abhishek) and decorate them with new clothing. Morning Aarti and Puja will echo you with much needed calmness amidst divinity. Battle Gun: The battle gun is among the precious historic possessions at used by the Maharajas residing in Jaisalmer to fought wars. 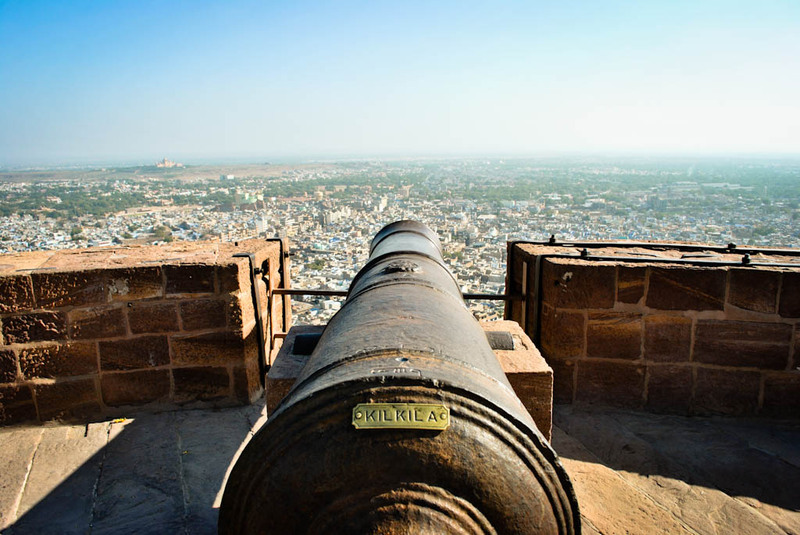 The gun is systematically placed from where you view the whole Jaisalmer city. 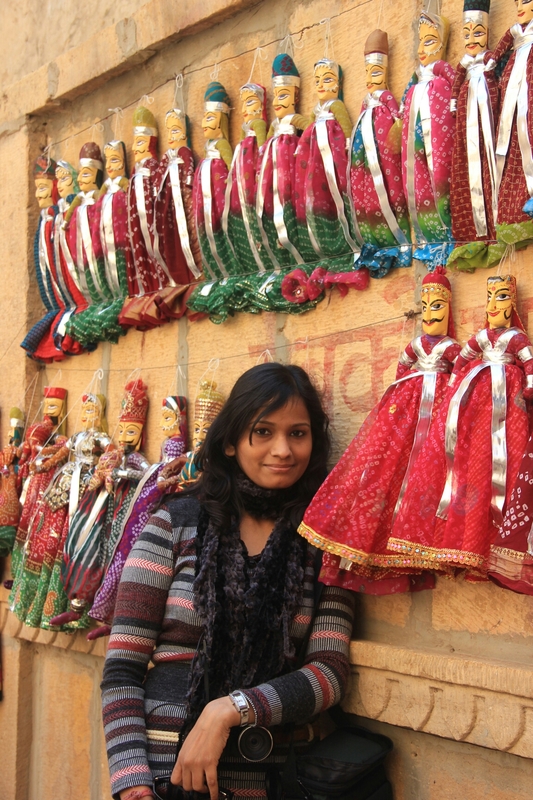 Local Market: Rajasthan on the whole has a very artistic way of living which can be well seen in the way they live. As you will enter the Fort through east of Gopa Chowk, one can easily spot the display of variety of products and things on the streets of the fort. You said it right, getting up in the morning gives you many advantages – less traffic, peaceful atmosphere, and plenty of time to explore. For me, i sometimes witness Sunrises too! The art works there are fantastic. Did you buy any of that? Its very nice blog !! I liked this blog so much. This is very helpful information for travellers. I love travelling and want to explore the whole world. 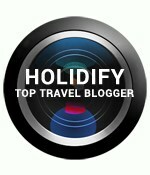 This travel blogs is very helpful for travel junkies. This blogs makes my trip more easier and memorable. 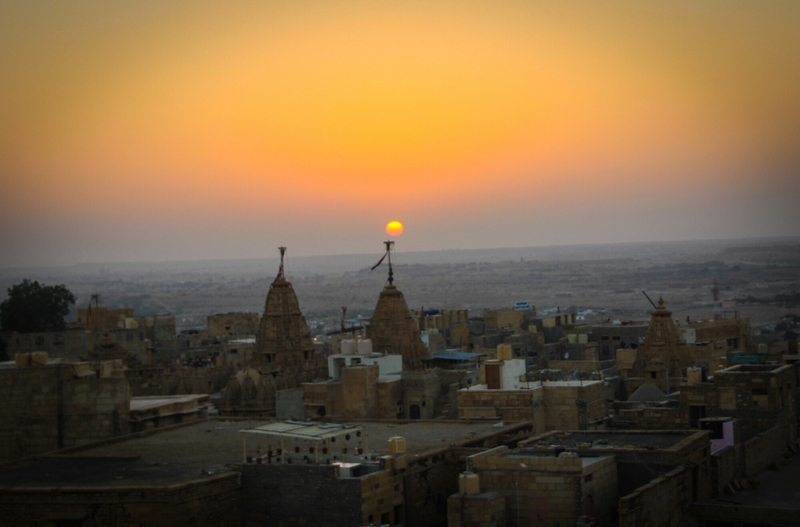 Jaisalmer is the beautiful place to visit in India.